Power, customization, and security are the name of the game when it comes to ZoneAlarm, an antivirus that can give any competitor a run for its money. The software was first developed by Zone Labs, which was later acquired by Check Point Software, one of the world’s most prestigious cyber security companies. 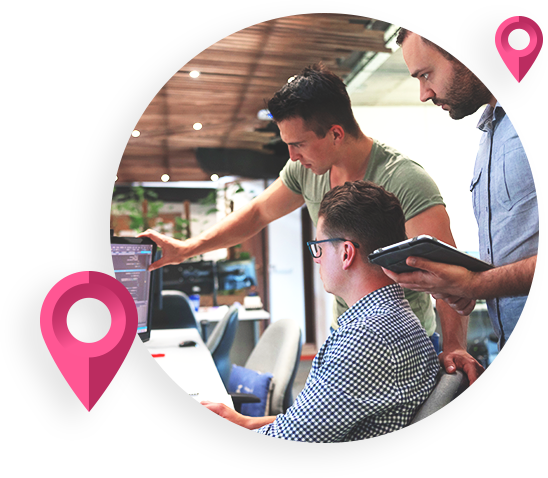 Check Point has more than two decades of experience creating and powering advanced network security products and employs more than 2,900 security specialists across the globe. ZoneAlarm is their brainchild, and it offers high performance and “extreme security” on a mass-market antivirus and firewall platform that comes complete with a 100% virus-free guarantee. There is an arsenal of cyber security tools built into the system, and by taking a quick dive we can see what it has to offer. ZoneAlarm is a solid choice for consumers who are looking for an all-in-one security package that combines antivirus and firewall systems as well as web and data security. For many other companies these entail different products sold separately, while with ZoneAlarm you can run them all together on the same software with the same security scan. The system can also be installed on three separate computers at once, all of which can run top-notch anti-phishing protection and real-time antivirus and antispyware. ZoneAlarm provides solid antivirus performance and some of the best firewall features on the market. The system has won 13 PC magazine editor’s choice awards, as well as tests from VB Bulletin, AV Test, and AVLab. The company also offers a 30-day money back guarantee so you can try it out risk free, and however long you use ZoneAlarm, you can use their live chat customer service to get some help. ZoneAlarm provides an inclusive security package that combines high performance with a wide-range of features for protecting your computer and keeping you safe while browsing the web. The software provides very good value for your money, with a comprehensive package of three computers at $59.95 per year, and upgrade to the “extreme security” package kicks the price up to a still affordable $89.95 per year for three computers. The security includes a high-performance firewall, antivirus and anti-phishing protection, as well as a series of tools to protect you online, safeguard your identify and data, and a laptop locator that can find your computer if its stolen. ZoneAlarm combines an entire assortment of security tools in a single simple to use package. The security package is split into three antivirus and Firewall, web and privacy, and mobility and data. You can run and manage the three separately or run all three through a simple scan that takes only a couple clicks. The system is made easier by the fact that it only takes a single download to get everything up and running. The system runs from an easy to use dashboard and doesn't require any background in programming or cybersecurity to master. Not only that, but if you hit any snags, you can contact their customer service through the live chat option at any time. ZoneAlarm performs quite well when it comes to virus detection, though there are competitors that have scored better detection rates. The firewall is where the company really stands apart, with firewall security that can match up with anyone in the market. The company also offers a series of protections for users while online, and ways to safeguard their data and locate their laptop if stolen. For those looking to kick up the protection even further, the “Extreme Security” package may be worth it. For an extra $20/year, the package comes with a “100% virus free guarantee.” How does it work? for as long as you use the security package you are guaranteed to be free from virus infections, but you must use the company's threat emulation technology to scan any new attachments and files before opening and delete all files that are flagged as malicious. The guarantee covers worms, Trojans, spyware, and malware, but not riskware and adware. The refund is not valid after your subscription has ended and no retroactive claims are honored. If you look at the package of security features all under one roof, ZoneAlarm provides a very respectable value for money, especially if you consider the holiday discount packages and other special deals that occur from time to time. The basic pro antivirus package offers very solid value for the money, but the re3al difference maker is the Extreme Security package which only costs another $20. With added features including system optimization, online backup, parental controls, laptop locator, zero day protection, a 100% virus free guarantee and more, it's a serious bargain at just an extra $20. Customer support is no side offering at ZoneAlarm, where helping users is taken seriously. The company site includes an extensive knowledge base and frequently asked questions section where you can find answers for most queries and tutorials to walk you through the system. If your query requires further assistance, you can contact customer support by way of an online chat window, or submit a help ticket online and wait for a customer service representative to contact you. There are no premium paid bespoke customer support services like some other companies offer, but through the knowledge base, live chat support and online help tickets, your bases should all be covered. The experience using ZoneAlarm is user-friendly, and things are kept easy and straightforward. The entire security package is all under one roof and can be captained from a single easy to use dashboard. Setup and installation is simple and quick and shouldn’t give even novice users and serious issues. At any time while using the system, users can make use of an extensive knowledge base and customer support framework, so even if they run into any issues, they’ll have help close by. Check Point has made a name for itself in the cybersecurity industry for all the right reasons. The company provides top notch security systems backed up from some of the most highly-skilled personnel in the industry. ZoneAlarm is a serious security system that provides users with a wide variety of antivirus and firewall solutions all in one package, with the option to upgrade to the “extreme security” package for a mere $20 more. Both packages are affordable, highly versatile and effective, and backed up by solid customer service, a performance guarantee (with the extreme security package), and a 30-day money back guarantee so you can try it out risk free and see for yourself. ZoneAlarm The mass market cybersecurity platform developed by Zone Labs and now run by Check Point Software, which acquired Zone Labs in 2004. It offers many of the security features expected from a global cybersecurity industry leader, including antivirus, firewall, anti-phishing, internet security and more. The system is easy to use even for novices and is easily upgradable to an “extreme security” package that adds more features to create a fully comprehensible cyber security platform that can stack up with any industry leader. The Top10 Antivirus staff is comprised of professionals with a vast knowledge across the world of antivirus software. Members of our international team have extensive first-hand online experience in utilizing strategies for performing software security and maintenance and copywriting and editing for various online and print publications.